Okay, so we may have just entered the territory of springtime, but the minute the weather starts warming up – and t-shirts start becoming the uniform of the day – I start to think about summertime. And the summer means cold drinks, citrus, and sitting on the patio. 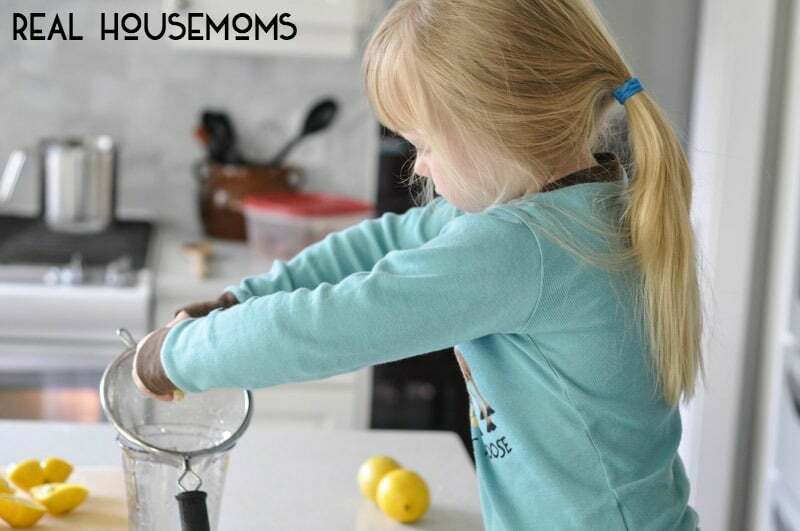 My youngest, Lucy, has an obsession with making lemonade. All through the winter she asked me if we could make “lem’nade from scratch”. Like all fun-squashing mothers, I would say no. But now that the sun is out – I will happily oblige. Combine two cups of water and sugar in a saucepan over medium heat. Bring to a boil until you've created a simple syrup. Add lemon juice and cold water and stir. Important: give it a taste! Is it too sour? Too sweet? Make adjustments at this point. 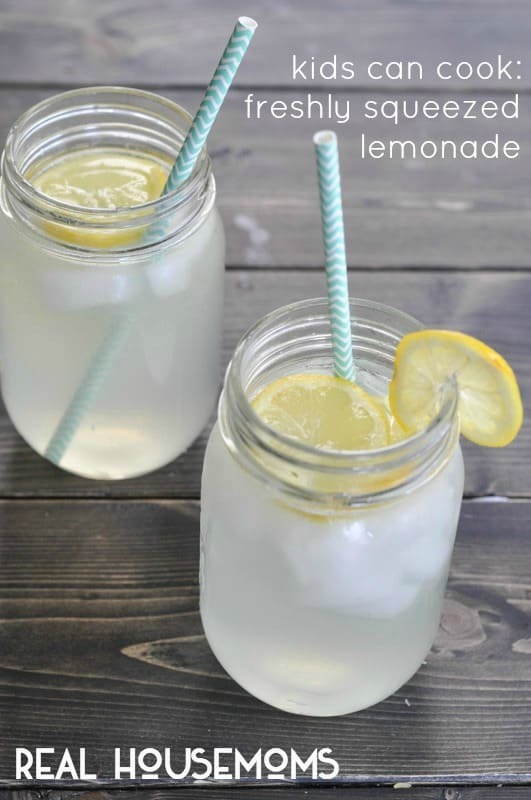 Pour into a pitcher with ice and lemon wheels and enjoy yourself! 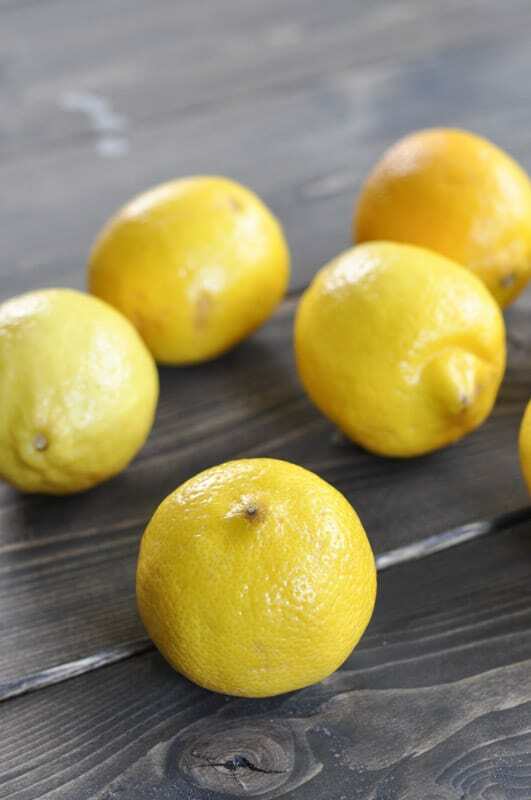 You’ll need some lemons. If you have piddly small ones like ours, you’ll need about 15. We bought them in a bag, lest we spend a mint on our jug of lemonade. Sugar, water, and patience later… you’ve got a delicious drink. Lucy squeezed all of the lemon juice over a strainer. She was dedicated to her task. 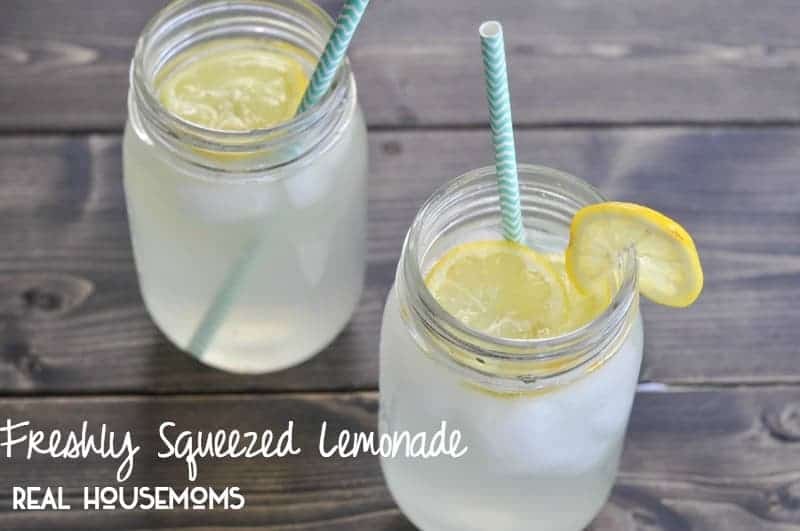 Aside from making the simple syrup, this recipe is fabulous for the kidlets. They can be the labour, whilst you stir the sugar and water. And when you’re done, you can immediately savour the fruits of your labours. This is how my kids like to roll – instant gratification? Yes, please.